Hamptons Free Rides are back! The fourth season began Memorial Day weekend and continues through the end of September. 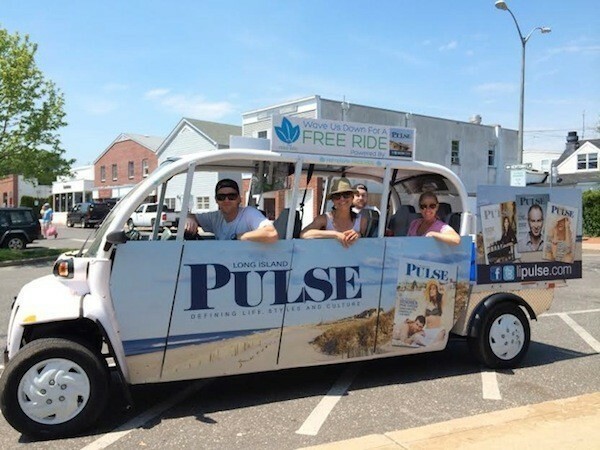 Hamptons Free Ride runs 7 days a week from 9 a.m. to 6 p.m. With routes in Amagansett, East Hampton, Montauk and Southampton you can count on the free transportation service to take you wherever you need to go. 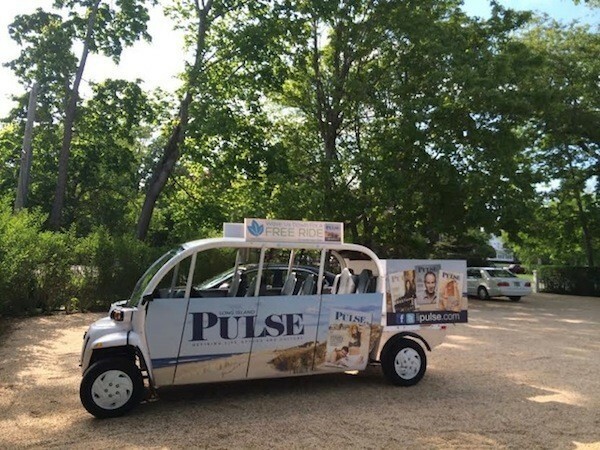 And this month you can catch a car in Southampton decked out with Long Island Pulse. 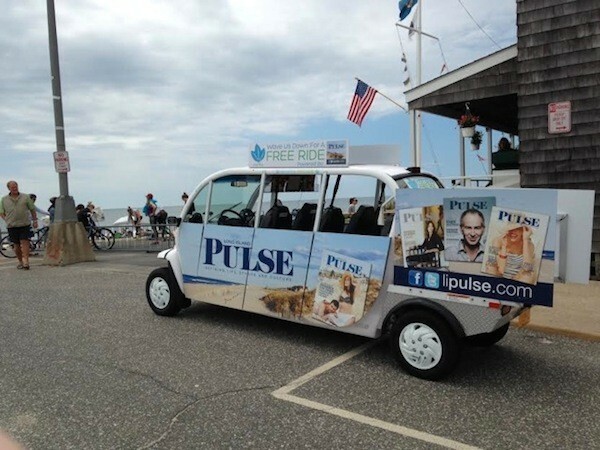 Share your Long Island Pulse Hamptons Free Ride experience by taking a selfie (yes, there are selfie machines in the cars) and tweet (@LongIslandPulse) or instagram(LIPulse) us and @HamptnsFreeRide. Check out the routes on the Hamptons Free Ride website. Images courtesy of Hamptons Free Ride.